Discover our stunning collection of Al Coro jewellery, renowned for its precious gemstones, sophisticated versatility and feminine appeal. Al Coro Fine Jewellery has become famed for its German heritage and Italian roots which inspire its impressive range of collections including Amici, Mezzaluna, Serenata, Amori, Stretchy and others. 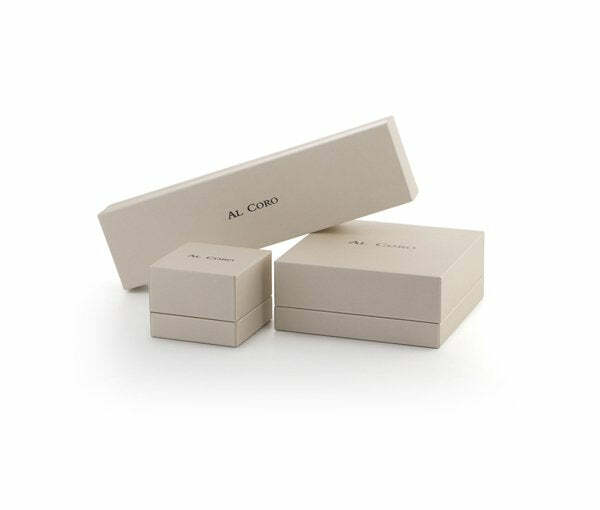 As official stockists of Al Coro jewellery, we have Al Coro necklaces, Al Coro bangles, Al Coro bracelets, Al Coro rings and Al Coro earrings all available online and in store with interest free finance and free UK delivery. Al Coro Ring Multi Strand Diamond 18ct White & Rose Gold Ring. NR376R. This features a mixture of 18ct white and rose gold strands, the white gold are set with brilliant cut diamonds offering an elegant contrast to the piece. There are matching items available within the collection. Materials: 18ct Rose Gold and 18ct White Gold 83 x brilliant diamonds W SI 0.94ct.